Inclusion on so-called terrorist watch lists, which draw from a database of about 1.5 million names, is being touted as a possible criterion for limiting guns sales in the U.S., prompting concern over errors that have seen innocent people flagged under the system. 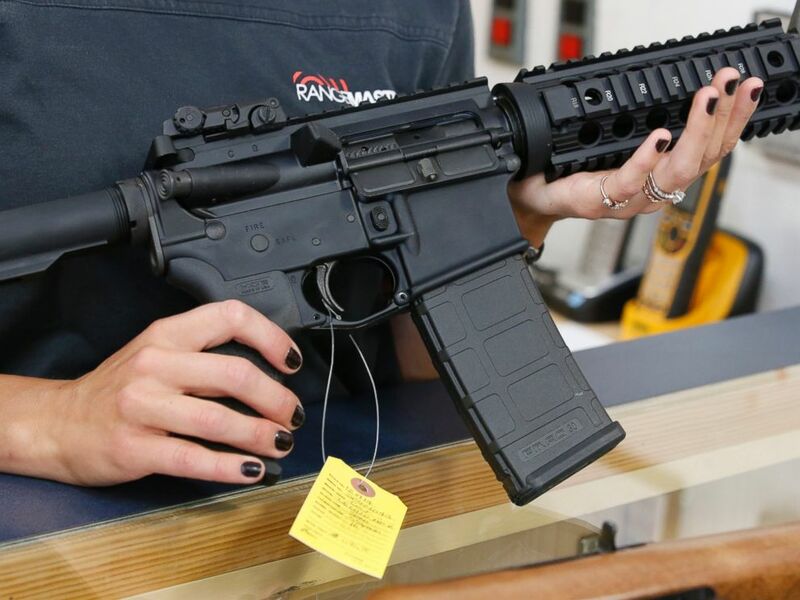 An ABC News/Washington Post poll released today found that 86 percent of those surveyed favored a ban on firearm purchases by people on the FBI’s terrorist watch list. A majority of respondents also favored increased surveillance of suspected terrorists, even if such action would intrude on a person's privacy. The possibility of basing further gun control measures on the database has prompted concern by civil liberties advocates and pro-gun lobbyists alike. The lists have been known to flag civilians with no ties to terrorist organizations, and it can be difficult for people to be removed after an error has been made — giving credence to critics who worry that restricting gun rights on the basis of the lists would violate the civil liberties of innocent parties. Nonetheless, since a shooter killed 49 people at the Pulse nightclub in Orlando, Florida, a number of bills aimed at tighter gun control have called for people on the databases to be barred from purchasing guns. A part of the problem, say critics of the latest bills, is the secretive environment in which the lists are compiled. There isn’t one list but a collection of indexes, beginning with the Terrorist Identities Datamart Environment (TIDE), run by the National Counterterrorism Center. As of June 2016, some 1.5 million people were on that list, according to an official fact sheet on the program, including 15,000 U.S. citizens and permanent residents. The no-fly list — a subset of the TIDE database — has tens of thousands of names on it, having grown from just 16 names after 9/11, according to a former counterterrorism official who spoke to ABC News but asked for anonymity because of the sensitive nature of the lists. 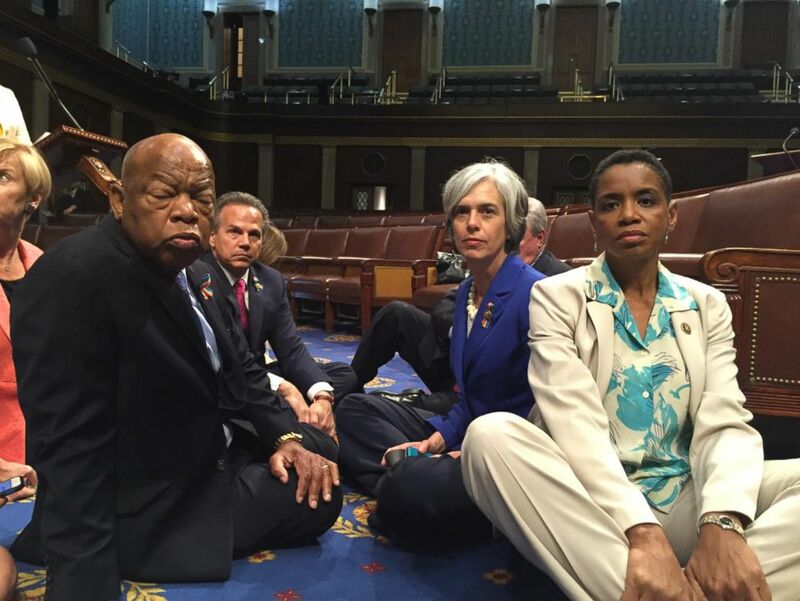 House Democrats participate in a sit-in staged to protest inaction on gun votes in Washington, June 22, 2016. How “suspected terrorist” is defined is critical in understanding how many people without ties to terrorist organizations have been included on the lists, according to the former official. He insisted that the no-fly list is likely to contain fewer innocent names. “If a person meets the criteria where we restrict the rights of him or her to board an airplane, I think it’s reasonable to also keep that person from purchasing a gun,” the former official said. It is a view shared by a number of members of Congress. Last week Democrats in the House staged a 24-hour sit-in over the lack of progress of gun control bills. One of the bills being discussed, the Terrorist Firearms Prevention Act 2016, would deny firearm sales to “individuals who appear on the no-fly list or the selectee list,” another subset of the TIDE list. But sometimes, just having the same name as someone else on the list can prevent an air traveler from boarding a plane. In 2008, The New York Times reported that this has happened to children as young as 6. Alex Harris, who was born in 2000, was kept in a holding room with his family upon arriving at John F. Kennedy International Airport from London in 2006 because his name matched a name on the list, the Times reported. He was allegedly detained again when he was 7, according to The Times. Dave Joly, who serves as the congressional and public affairs coordinator for the Terrorist Screening Center at the FBI, confirmed to ABC News that errors due to “name similarities” occur with the government’s consolidated terrorist watch list but that they can be “quickly rectified” when law enforcement agencies or encountering authorities contact his unit to vet the individuals. But the process of removing your name from the lists can be lengthy and daunting. 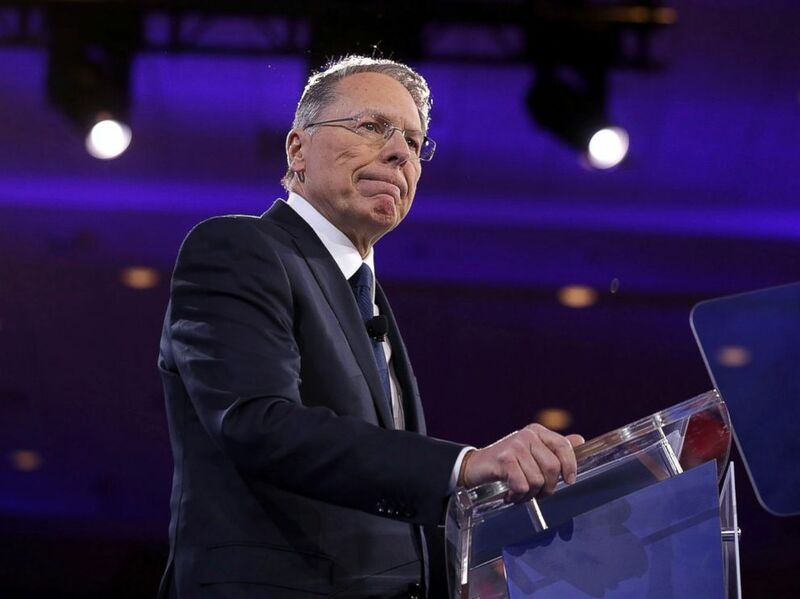 Executive Vice President of the National Rifle Association Wayne LaPierre speaks during the Conservative Political Action Conference (CPAC), March 3, 2016, in National Harbor, Md. It took Rahinah Ibrahim, a Malaysian architect with a doctorate from Stanford, almost a decade. She exposed errors on the no-fly list in January 2014 when she won a critical case against the Department of Homeland Security, according to court documents, demonstrating that the U.S. government violated her right to due process by putting her on the no-fly list without telling her why. Elizabeth Pipkin, a San Jose, California, attorney who represents Ibrahim, told ABC News that Ibrahim approached her in 2005 after not being permitted to board a plane to Hawaii to deliver an academic paper. Pipkin said that attempts to bring the case to trial were delayed by the government, which, she said, tried to get the case dismissed multiple times. When the case finally went to trial, the decision, written by U.S. District Judge William Alsup, addressed mistakes made by the government in putting Ibrahim’s name on the list. “In order for the district court to grant relief on a claim that a plaintiff has been wrongly listed in a government terrorist [watch list], that listing must first result in concrete, reviewable adverse government action against the plaintiff, such as refusal of permission to board a plane,” he wrote. He continued, "In light of the confusion caused by the government’s mistake, such cleansing-certification relief is ordered in this case." Pipkin said that an FBI agent “checked the wrong box” when attempting to place her client on one or more terrorist watch lists, mistakenly adding her name to the no-fly list. She added that Ibrahim's daughter, who is in her 20s, encountered difficulties flying as recently as 2014 because of her relation to Ibrahim. Pipkin described Ibrahim as being a nonviolent person who “views America as her second home” and does not support terrorism. Pipkin noted that her client, whom she called “a strong believer in women's equality,” has broken barriers as a woman in working a male-dominated field and said she has sought to build bridges between her country and ours. Once a person's name goes on a list, his or her information can be shared with the CIA, the FBI, the Department of Defense, Immigration and Customs Enforcement, Citizenship and Immigration Services, the Department of State, the Agency for International Development, foreign partners and state, local and tribal police, according to documents first obtained by The Intercept. A woman holds a AR-15 semi-automatic gun at Action Target, June 17, 2016, in Springville, Utah. People who believe they have been wrongfully added to a watch list can file a complaint through a redress program, which launches an internal review not subject to oversight by any court or entity outside the counterterrorism community, according to the documents. The review can result in the removal of an individual’s name, but the person won’t necessarily be notified of the result, because the government maintains a general policy to “neither confirm nor deny an individual’s watch list status,” the documents state. Individuals may even be kept on the list after being acquitted of a terrorism charge if authorities still have reasonable suspicion. Despite perceived problems with the terrorist watch list system, it looks as though the databases are here to stay. Both major parties’ presumptive presidential nominees, Donald Trump and Hillary Clinton, have recommended expanding terrorist watch lists in the wake of the Pulse massacre. Evan Simon contributed to this report.